William Vine. Painted by his son-in-law, Henry Bodle, c.1830. William Vine bought the windmill in Clifton Hill, Brighton on 18th August, 1818. 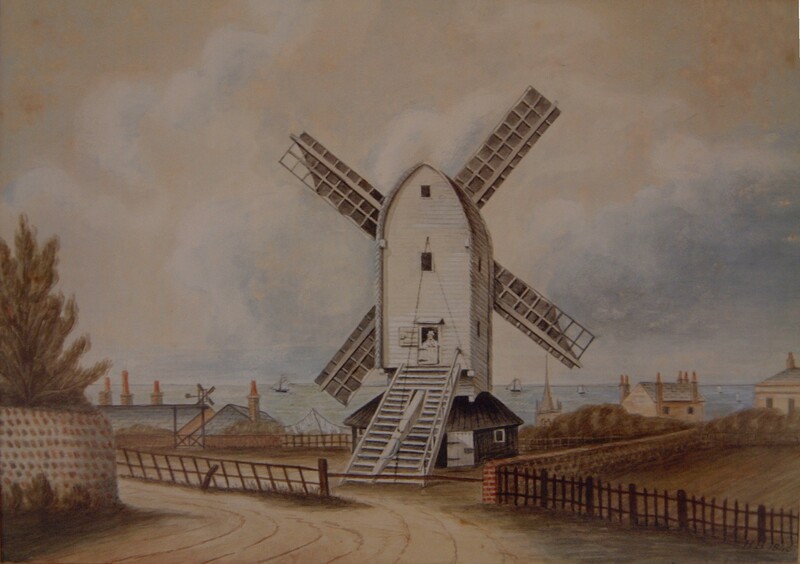 The mill became known as ‘Vine’s Mill’ and was located in the area which eventually became the car park of the Royal Alexandra Hospital. The millworkers’ cottages were in Vine’s Place. 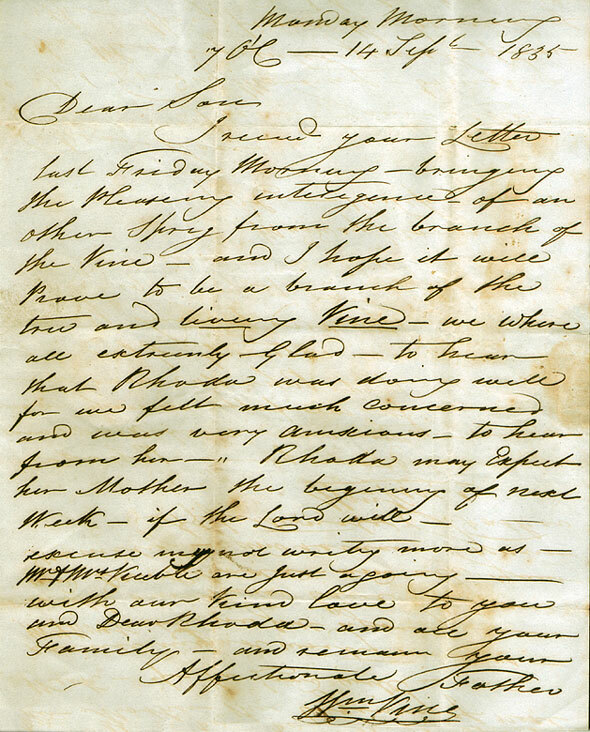 Willam Vine’s papers were contributed to Letter in the Attic by Karen Belton. The papers consist mainly of letters between William Vine and his family. William Vine was clearly a very religious man and the letters reflect this. 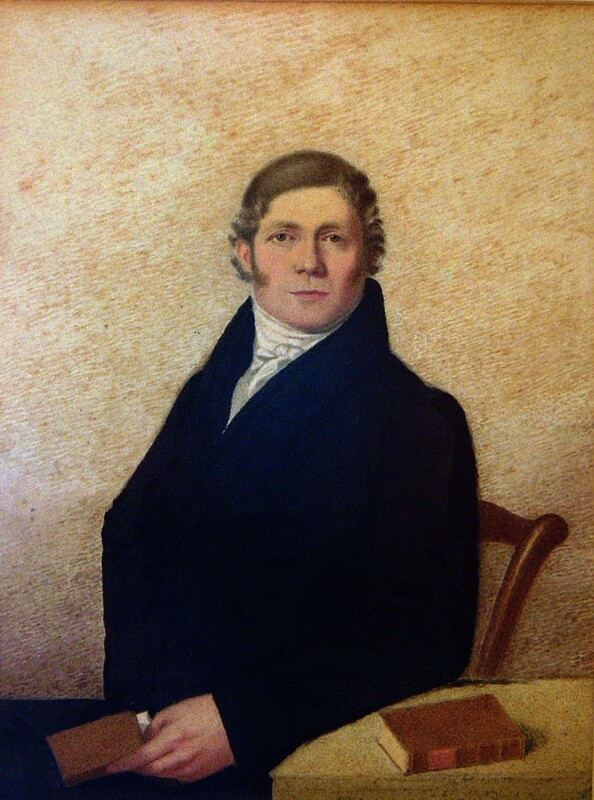 There is some further information about William Vine on http://www.williamvine.net, including a full set of images of the surviving pages of his meteorological diary (which he entitled ‘Wheathers’) written in 1811-12, when he was operating his first mill at Windover Hill, East Sussex. This diary came up for sale in 1990: I do not know who sold it or who bought it, but the auctioneers recognised its historic importance and deposited a complete photocopy in the East Sussex Records Office.